>> Noted Hindi poet Kedarnath Singh was chosen for the prestigious Jnanpith award for 2013 on 20 June 2014. 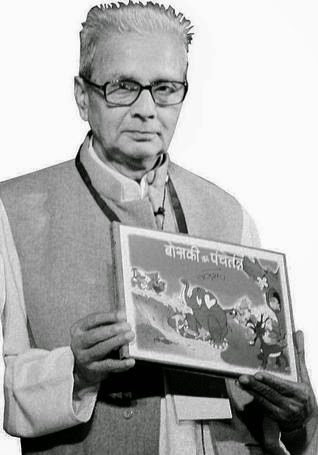 >> He is the 10th Hindi writer to receive the honour and is the 49th recipient of Jnanpith award. >> 80-year-old Singh, who has also written essays and stories, was born in Balia, UP, and 'Abhi bilkul abhi' and 'Yahan se dekho' are among his prominent works. The award includes Rs 11 lakh and a citation, a release from the Jnanpith award committee said. >> Jnanpith award is one of the prestigious literary awards in India and was instituted in 1961. The award is given to any Indian citizen who writes in any official languages of India mentioned in VIII Schedule of Constitution of India. It is presented by Bharatiya Jnanpith, a trust founded by the Sahu Shanti Prasad Jain family. The award includes 11 lakh rupees and a citation.